Home › Who are the Bogleheads? The Bogleheads community encompasses the forum, the wiki, a presence on Facebook, an investment blog, a regular series of podcasts and The John C. Bogle Center for Financial Literacy. We have published three investment books: The Bogleheads’ Guide to Investing; The Bogleheads’ Guide to Retirement Planning; and The Bogleheads’ Guide to the Three-Fund Portfolio. Taken together, we’re attempting to reach out and provide education, assistance and relevant information to investors of all experience levels in as many ways as possible. This 21-year journey started in 1998 on the Morningstar.com Vanguard Diehards forum. In February of 2007, we decided to start our own commercial-free forum in order to control our own destiny. Since then, the growth of the forum and the Bogleheads community has been phenomenal. We currently have 81 local chapters; 75 inside the US and 6 outside the US — Europe, Hong Kong, Israel, Singapore, Taiwan, and the United Arab Emirates. New chapters are being added on a regular basis. Starting in 2000, we’ve held national conferences in major cities around the country. We currently meet in Philadelphia in the autumn of each year. The Bogleheads site is operated by volunteers who contribute time and talent at no charge. We do accept donations to help defray operating costs. We’re glad that you stopped by. Hopefully you’ll join us in our mission to make sure investors get their fair share of market returns. Switch LAS VEGAS 8 – The Core Campus, Las Vegas, Nevada. This is home of the site’s servers. The open non-commercial nature of our moderated forums provide participants with a broad range of guidance free from influence by the financial industry. While the majority of our members are based in the United States, the forums increasingly attract members from around the world. We now have more than 80,000 registered members who have made more than four million posts. The forum averages about 2,000,000 visits per month from members and guests, and those visitors read more than 22,000,000 pages each month. On an average day, forum members make between 1,500 and 2,000 posts. At any one time, there are between 700 and 900 people online viewing the forum. Bogleheads.org includes among its membership a number of authors of mainstream investment books. Many of these authors will gladly answer participants’ questions regarding their works. In addition to our forum, we have close ties with our two “sister forums” of like-minded investors; you are welcome to visit Canada’s Financial Wisdom Forum and Spain’s Bogleheads® España. The Bogleheads® wiki has become a virtual library of helpful information on just about any subject related to investing and the Bogleheads. It is a collaborative enterprise by members of the Bogleheads community. The wiki contains more than 900 articles. Our goal is to create a growing knowledge base of financial subjects that furthers the education and empowerment of retail investors. Bogleheads.org was founded in 2001 by Alex Frakt and Larry Auton as a post index of a Morningstar discussion forum. The site adopted its own forum in 2007 and added a wiki in 2008. 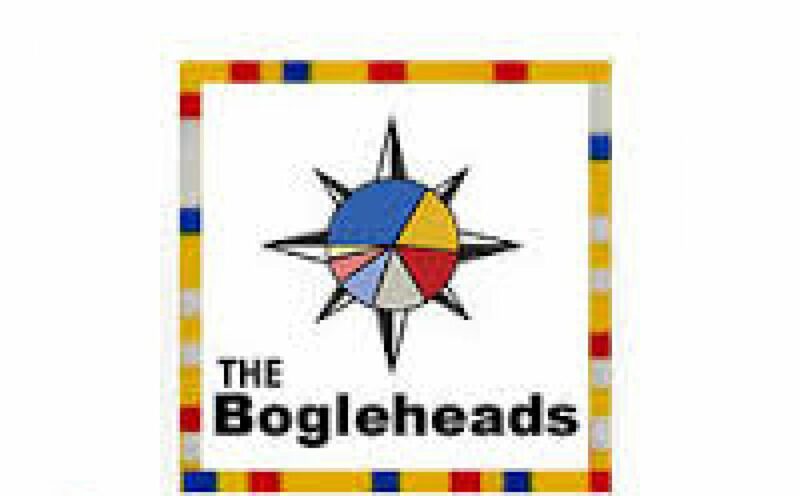 The Bogleheads wiki was established on May 13, 2008. The wiki has more than 900 articles dealing with personal finance, financial history, and investing. The Bogleheads have collaborated to write two investment texts exemplifying our investing philosophy. In addition, Taylor Larimore has written a third text explaining the Three-Fund Portfolio. The Bogleheads Guide to Investing (second edition) was written by Taylor Larimore, Mel Lindauer and Michael LeBoeuf, long-time Bogleheads.org forum members who continue to be active on the forum today. First published in a hardback edition on January 3, 2006; the publication date for the second edition is August 18, 2014. The Bogleheads’ Guide to Retirement Planning was written by members of the Bogleheads community (see individual chapter headings) and edited by Taylor Larimore, Mel Lindauer, Rick Ferri and Laura Dogu. Published in October 2009. A third publication, The Bogleheads’ Guide to the Three-Fund Portfolio: How a Simple Portfolio of Three Total Market Index Funds Outperforms Most Investors with Less Risk, written by Taylor Larimore, was published on June 26, 2018, by Wiley. Our Facebook page is managed by a small group of volunteers. The page captures John Bogle’s video appearances and other links to information consistent with our investment philosophy. Our site’s most popular age group is a youthful audience (ages 25 – 44). As of January 2019, the site has over 10,000 followers. Financial Page is dedicated to providing bogleheads.org. and its members access to the blogging medium. The Bogleheads on Investing Podcast, sponsored by The John C. Bogle Center for Financial Literacy, and hosted by Rick Ferri, is a monthly podcast series featuring well-known figures in the investment world. The initial podcast, an interview with John C. Bogle, was published on September 14, 2018. The John C. Bogle Center for Financial Literacy, a non-profit organization set up to help support the forum as one of its stated objectives, was approved by the IRS as a 501(c)(3) public charity on February 6, 2012. The approval was retroactive to Nov. 22, 2010, the date of the organization’s incorporation as a non-profit Texas corporation. Personal reflections by Boglehead’s local chapter members, along with interviews of Boglehead members can be found in the following pages. Here on Financial Page, we encourage local chapter participants to provide summaries of their local chapter meetings. We provide a convenient means of accessing these summaries here.